Projection Artworks is a creative studio and production house specialising in projected art and video-mapping for events, conferences, PR stunts, private parties and experiential activity. Often working with the world’s top advertising and event agencies, Projection Artworks has created spectacular works for brands such as Nike, Disney and Red Bull. The company is the only one of its kind to offer full-scale creative and production services under one roof. Social entertainment brand Bounce, wanted to create an entirely new experience using their Ping Pong tables combined with interactive projection. 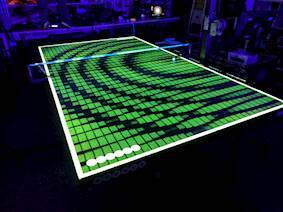 Projection Artworks, specialists in digital experiences, and Bounce launched Wonderball – the first digital evolution of the game Ping Pong. 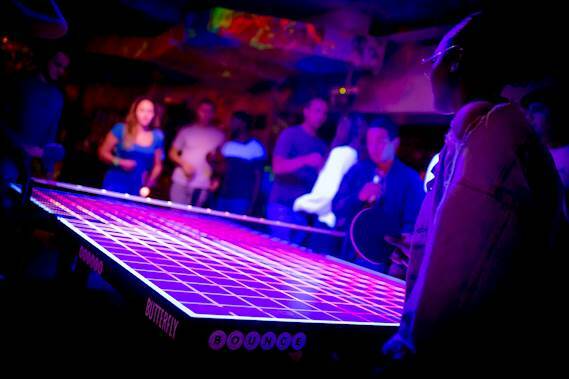 The bespoke system was rolled out across two London locations, turning a standard Ping Pong table into an interactive game using projection mapping – revolutionising Ping Pong for London gamers. 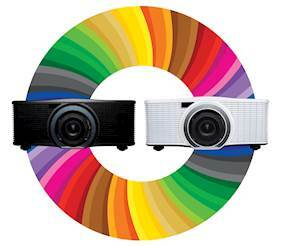 Projection Artworks created a variety of games and interactive effects. Players can pick and choose the game they want to play by bouncing the ball on the projected menu. Games include a projected version of beer pong, a point scoring game, trailing digital effects to enhance normal game play and in Hit Machine the system counts rally lengths. The system then pinpoints the trajectory of a specifically developed ball and keeps score of the game. The system is built in TouchDesigner, and projected from one Optoma ZU650 projector with added UV flood lights to illuminate the table. 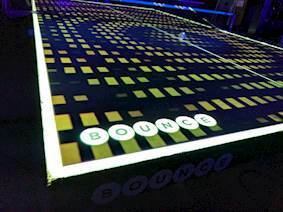 Bounce has patented the Wonderball tech which combines ball tracking technology and the latest in interactive projection mapping. The result is the ultimate immersive retro arcade gaming experience and a whole new way for groups to play - with very little skill needed. Since its launch in 2012, the Bounce concept has been regarded as a game-changer in social entertainment venues, combining three elements of hospitality: a bar, restaurant and entertainment activity – all set against award-winning design and the highest standard of fit out. Cookies zijn kleine tekstbestanden die in de browser worden opgeslagen als u veel websites bezoekt. Optoma gebruikt cookies om uw surfervaring te vereenvoudigen en aangenamer te maken en om de inhoud beter af te stemmen op uw voorkeuren en behoeften. Dit helpt ons de website voor u in de toekomst te verbeteren. Sluit u dit dialoogvenster zonder een optie te selecteren, is het toestaan ​​van cookies de standaardinstelling.